Hello Friends, I hope you have had a lovely start to another new week. It’s just amazing to me how swiftly time passes by these days. I have shared with you in the past I actually like the idea of working with panels in my quilts, albeit sometimes precision cutting involving panels can pose a bit challenging. But nonetheless, panels afford me the opportunity to try out things I normally wouldn’t have. 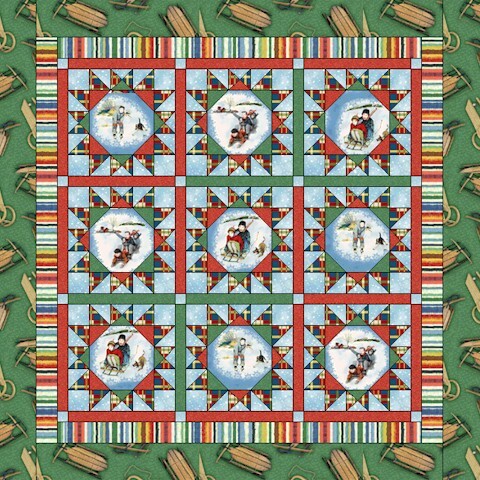 I will be sharing with you in this post the panel quilts, accompanied with the various techniques I was able to try out in the particular quilts. 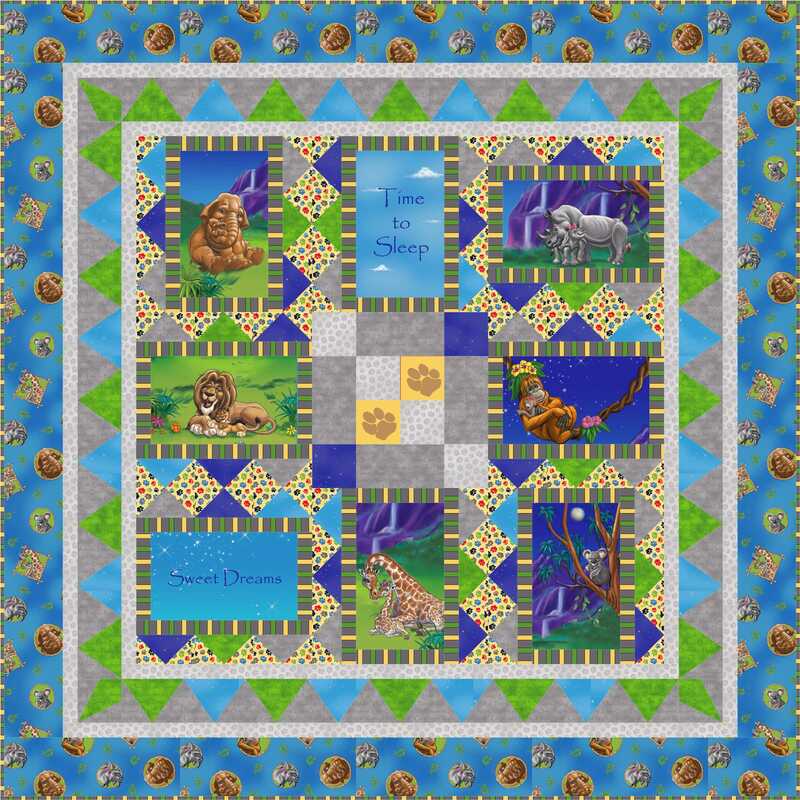 Click on the quilt names to view additional quilt pictures. 1. 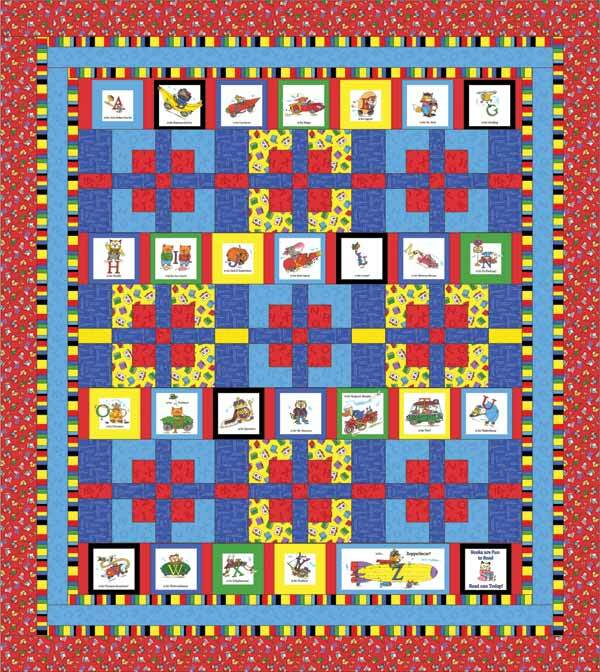 Now I know my ABC’s (Fons and Porter, Love of Quilting, March/April 2013): I was able to try out some fun quilting to enhance the panel print. I also learned to not press my fabrics before cutting out the panel blocks. For some reason, I have better luck with precision cutting the panel blocks straight off the bolt, and press only after all the necessary piecing is done. 2. Rise & Shine (QUILT, October/November 2013): I was able to “trick” the panel blocks into looking like they are custom-designed by varying the sizes of the blocks in a quilt. 3. 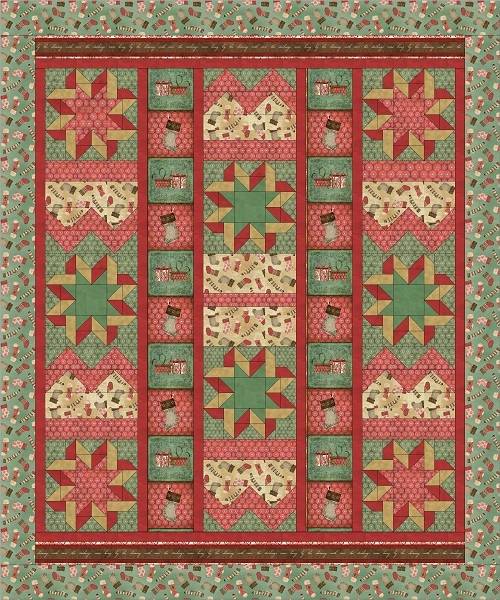 Yay Day (Quilt It…today, July/August 2013): Panel block design is centered and cut to be included in a pieced block. 4. 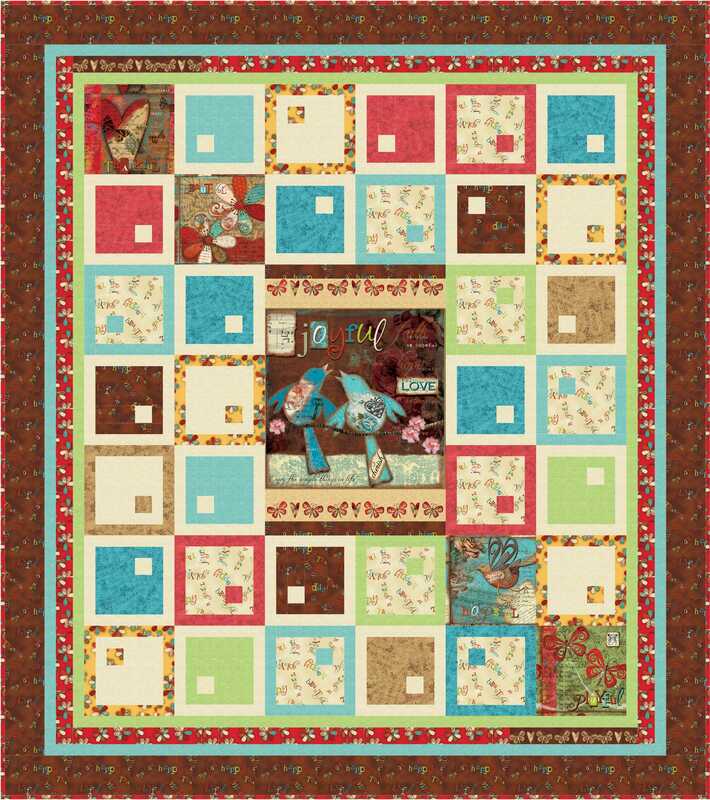 Manhattan (Quilt Trends, Fall 2013): I used this quilt to practice template piecing, and mitering border pieces. 5. 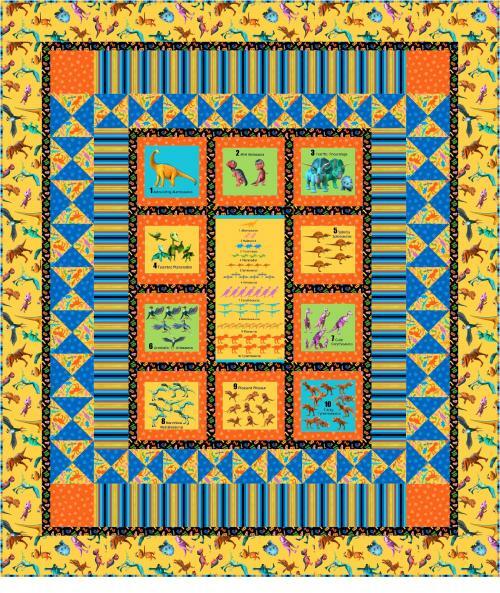 A Tale as Tall as a Tree (Quilter’s World, October 2012): I used this quilt to experiment using basic quilting motifs to enhance the print design on a panel. 6. 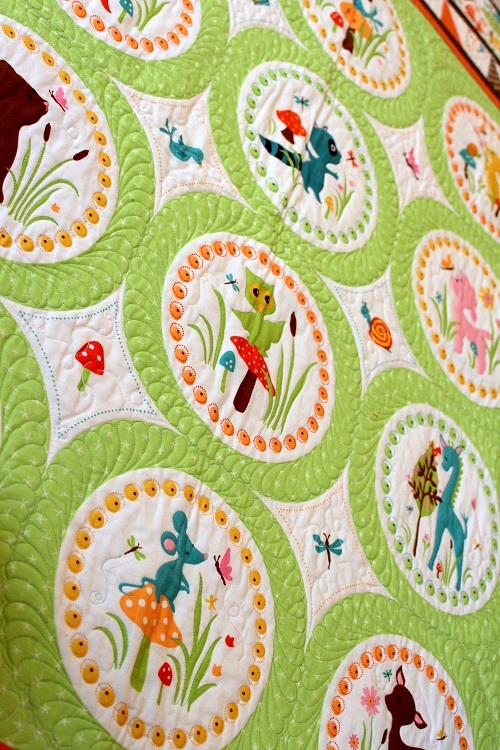 New Life (Quilter’s World, February 2013): I used this quilt to practice quilting feather wreaths free hand. 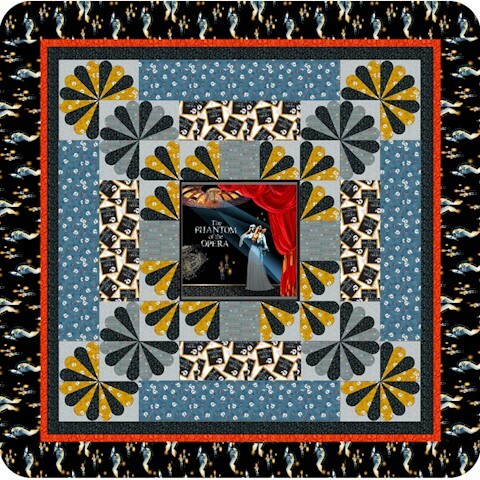 I hope you have enjoyed my little show of panel quilts. Do you have a favorite from what you have seen? 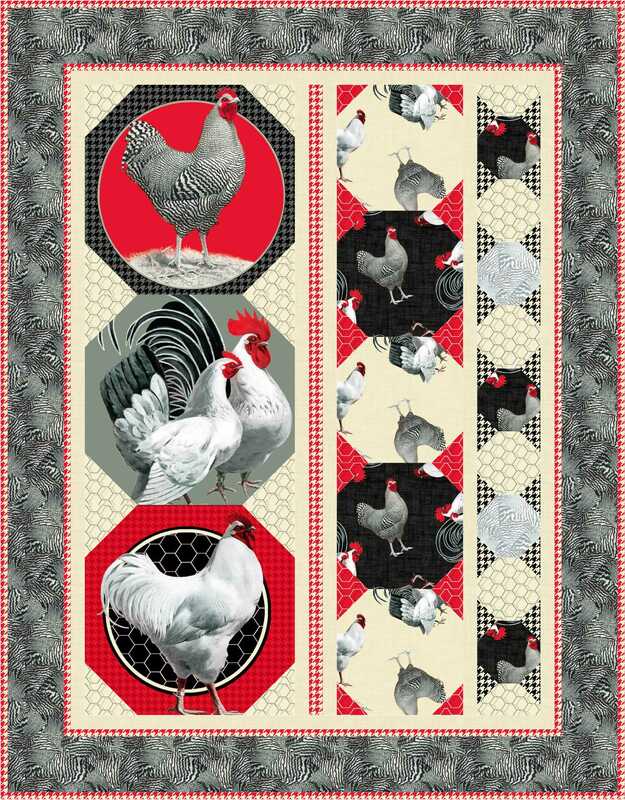 What are your thoughts on panel quilts? I have got to run – it’s extreme crunch time for me. The next 10 days will be crucial in meeting my immediate deadlines. So, you take good care as my visits with you will be sporadic. Love to you all! 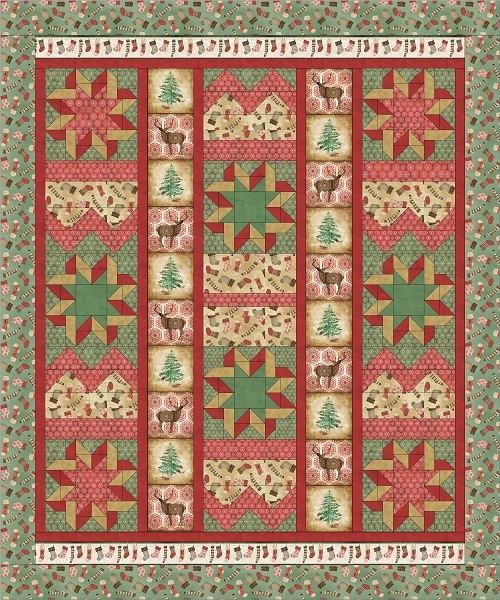 This entry was posted in Quilt Pattern, Quilting. Bookmark the permalink. Inspirational trunk show. 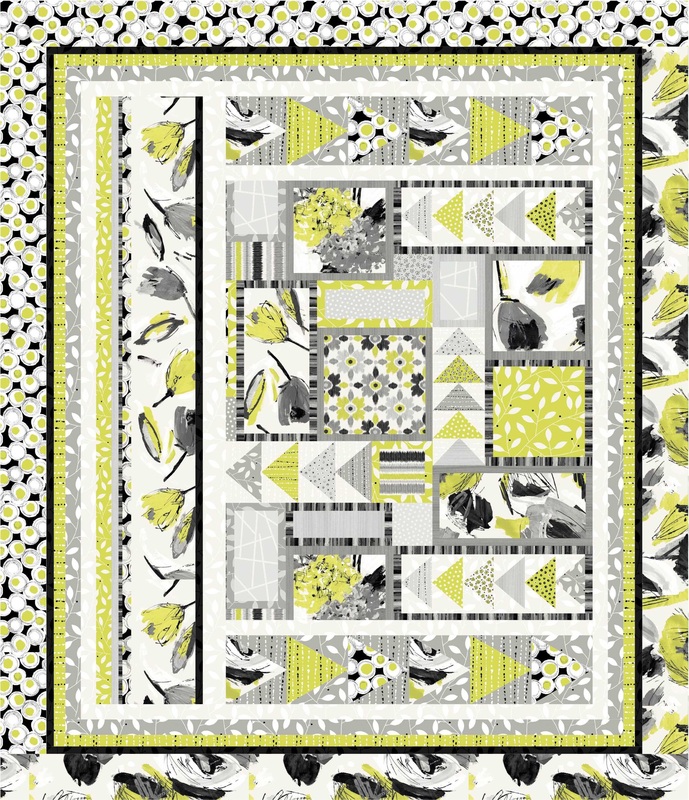 Gorgeous fabrics, beautiful designs. Love them all. I think New Life and the Manhattan might be my favorites. I’m with you on how quickly the days are fleeting!! What a fun Trunk Show. Sew many winners but do think I would vote for “Baby Circus” and “Now I Know My ABC’s.” Time just flies by……..wish I could stop it a bit. Happy stitching during your crunch time. Lots of Hugs. How fun. I usually pass on panels because I think you ruin them when you cut them up; but this seems like a great way to showcase them. You’ve given lots of different concepts with this post. The only ones I have purchased lately are “book” panels. The grandkids love the handmade story books. 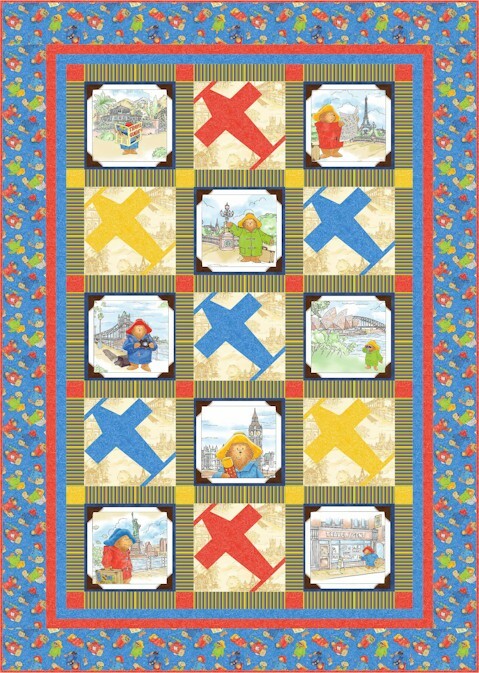 Out of those I think I like Homespun Holidays best, but the Paddington one is really cute, too. I adore #6. Those feather wreaths are amazing. I cannot believe that is practice. I would have to choose Manhattan and Rise and Shine as my favorites. 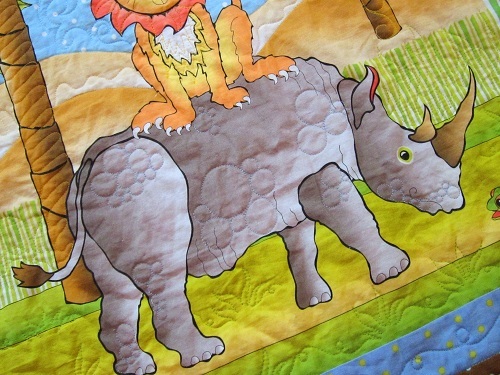 They are all wonderful though and I love the circle quilting on the rhino. I have not been a huge fan of panels only because of the precision in cutting. Take it easy on yourself. We don’t want you to get sick again. Great trunk show! There are some fabulous panel out there, but as you say they do come with a few problems. I just made one from a flannel panel for my great niece. I’m really interested in Baby Circus, Tale as Tall as a Tree and New Life. I have purchased some panels to practice free motion quilting. 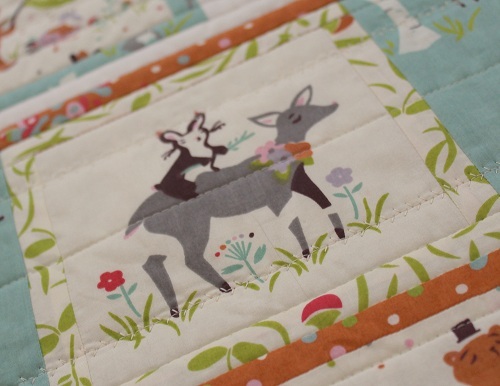 I love how you have embellished the panels with your fmq. Quilting my panels is going to be my winter challenge. Thanks for all your inspiration. That’s quite the gallery! 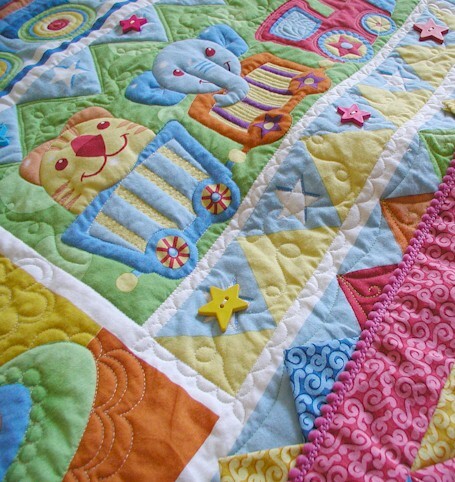 Very nice designs and quilting. The baby circus really popped out at me with the cute colors and panel. I am blown away! These are wonderful! I’m really loving Rise & Shine. I nearly bought that panel Friday while doing a little shop hopping coming back from a retreat. 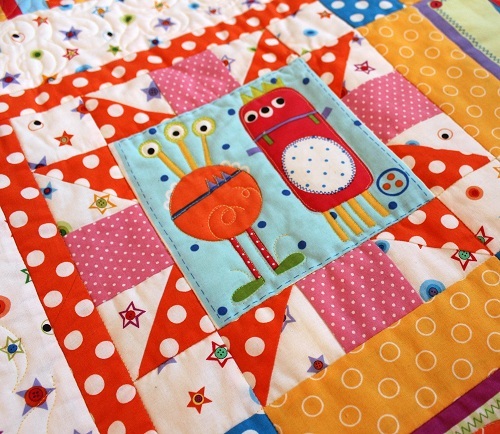 I like having them to grab when I need a quick baby quilt, and often use them for practicing on the longarm. Just wish they weren’t so often “off”.